Plant labels are invaluable. A lot of gardeners might raise their eyebrows – how can you forget the names of your plants? But they’ve clearly grown too few unusual varieties. I’m constantly forgetting which lettuce is which. They do tend to look alike though! I started using plant labels to track my experiments with potting mixes. I could jot down my ingredients (1/3 peat, 1/3 perlite and 1/3 manure, for example) and keep track of which mixes were performing best. So in this article I want to dig a little bit deeper and have a look at some of the different labels of offer. Oh, and don’t forget a permanent marker! Pencils won’t do you any good! Click here to jump to our selection of some of the best plant labels from around the web. Don’t forget a marker pen! A marker pen is half the battle when it comes to plant labels! There are some excellent products that are made specifically with gardeners in mind. The A.M. Leonard Nursery Pen (pictured below) is uniquely designed with weather and sun-resistant ink. It’s also waterproof and has just the right size nib for marking labels. You can buy marker pens specifically for plant labels. I tend to avoid using a pencil on my labels because I find it fades off too easily. Pens like the one above are inexpensive and will last a long time. You’re not writing a novel, after all. Generally speaking, there are a few features to look for in plant labels, depending on what you want to use them for. Size – This is an obvious point but one that’s easily overlooked. Smaller plant labels can be good for keeping track of seedlings while bigger labels are useful for fully grown plants. If you’re bying online, make sure you check the dimensions. Texture – A rough texture on the surface of the plastic or wood makes it easier to write on. 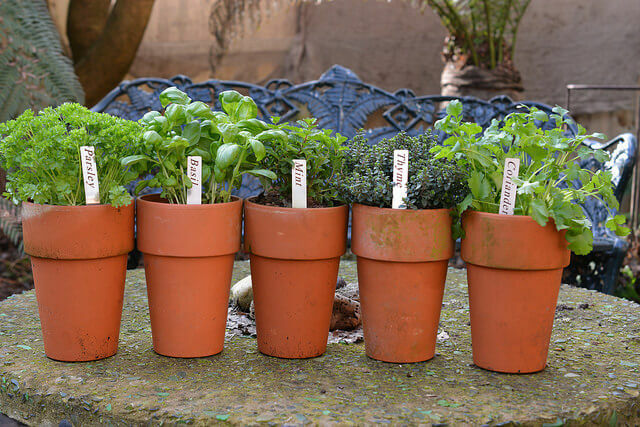 Quantity – Do you want lots of purely functional labels or do you want them to look good when they’re popped into your windowsill herb pots? 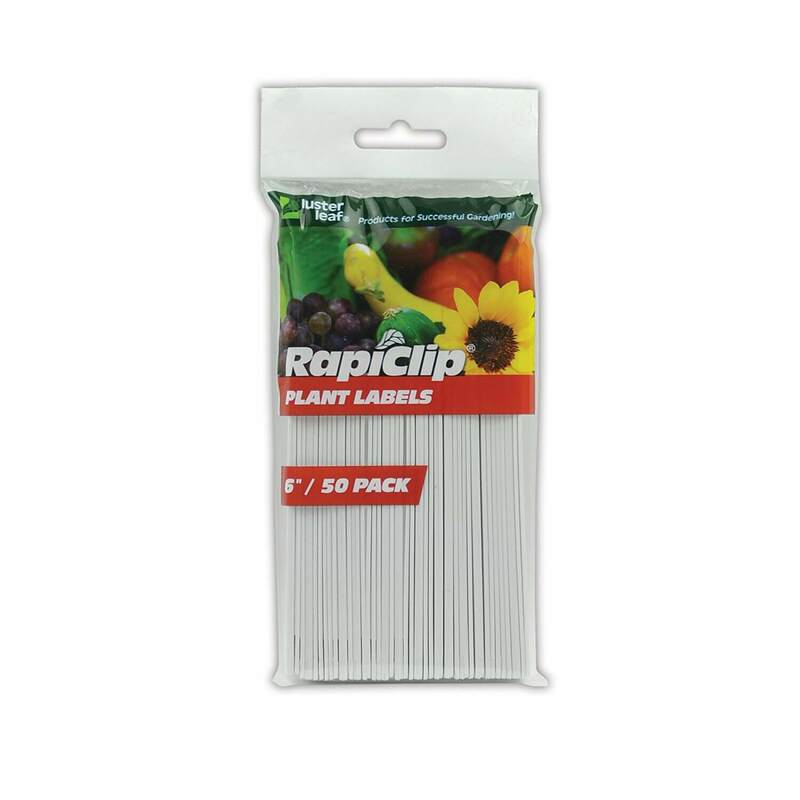 This 50-pack of 6-inch plant labels is ideal if you’re looking for an inexpensive, practical solution. 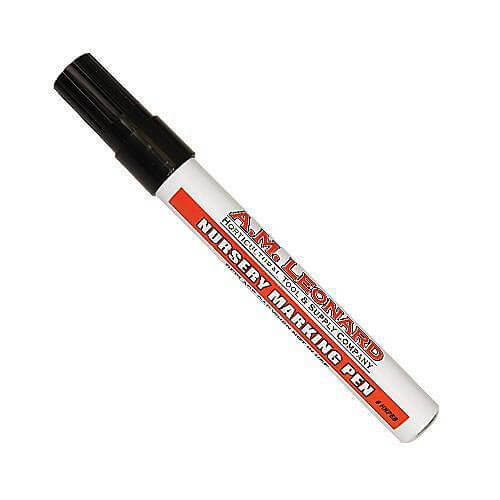 They’re great labels, made from a very sturdy plastic, and get the job done without any problems. They’re also easy to write on. These are my plant labels of choice for keeping tracks of seeds/seedlings in plug trays and small pots. They’re also unobtrusive enough to look nice in the pots of mature plants. There’s a small hole if you want to nail them or hang them to something. If you want to go with something a little more decorative, these metal stakes could be ideal. 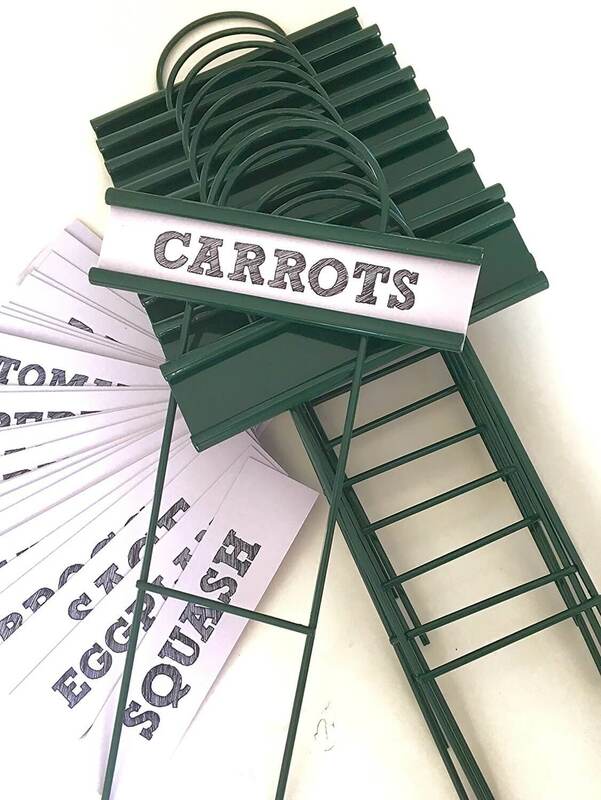 They come with a set of pre-written plant labels (as you can see from the picture) but these can easily be flipped to write on the other side. The metal itself is powder-coated so is fully rust resistant. Each one is just under a foot in height. If you’re going for a more decorative approach, as opposed to a purely practical one, then these metal labels are ideal. They’ll look pretty wherever you put them and, as they’re made of stainless steel, are completely weather-resistant. Even if you’re not that bothered about how things look, they are still an excellent choice. Because of the material they’re made from they’ll last for absolutely ages. You can easily use a permanent marker on them and then rub it off with nail varnish/paint cleaner if you want to change it. Need something for bushes or trees? 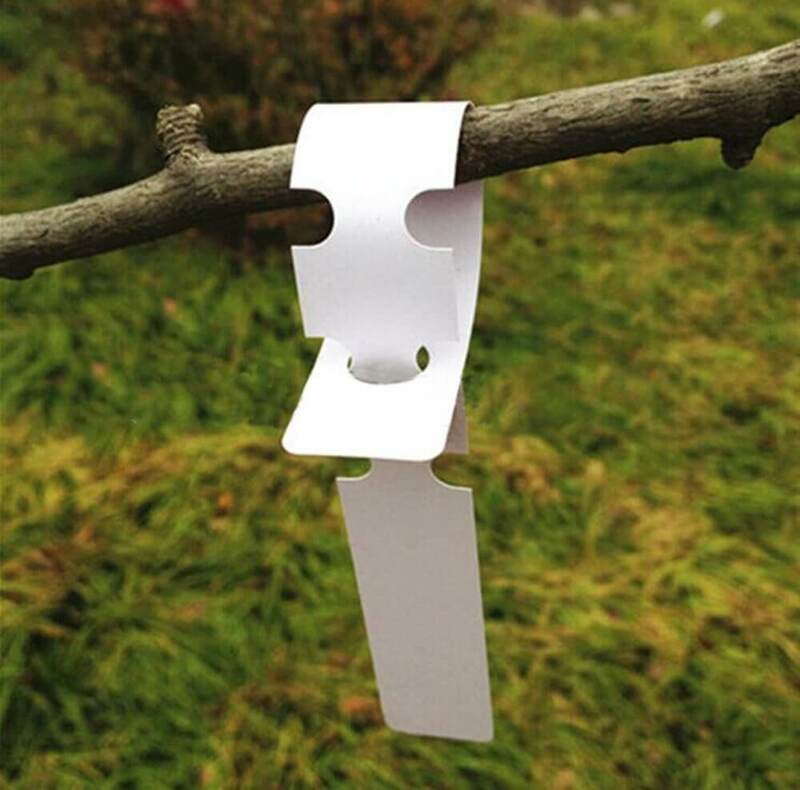 A good alternative to labels are tree tags. This 200 pack (you can get a 1000 pack too) is made from durable, high-quality plastic and each tag is completely weatherproof. They have a staggered design so will wrap around a range of branches and can be reused. If you have bushes or small trees in pots, these can be a lot better than typical labels. Etsy is a great place to look for plant labels. 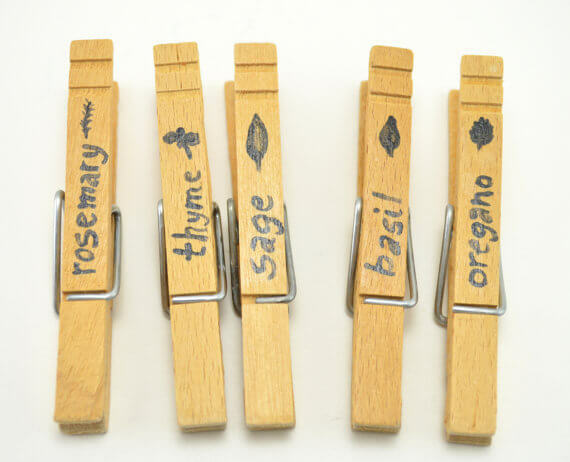 If you like handmade, rustic products in your garden then check out their huge selection of plant labels. You can get everything from driftwood to slate to repurposed clothes pegs. I’m a big fan of homemade gardening products and I like that added specialness that comes from knowing something is unique (or not straight out of a machine, at least). 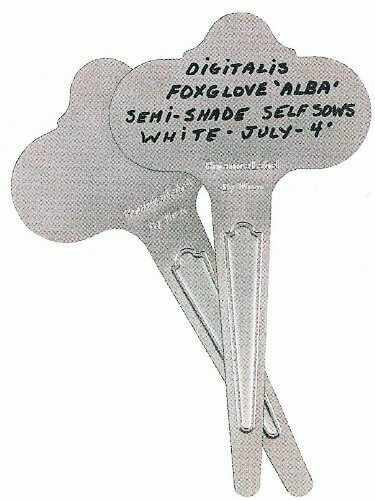 What has your experience with plant labels been? Leave a comment below and let me know! My website gets 1 Million+ organic traffic and DA is higher than 65. I want to ask would you be interested in a link swap or a guest post exchange between our websites? Websites are in different GA accounts, have different registrars, so it is completely safe. I have other blogs I’d like to rank, and I have a bunch of websites that are identical to the site I wrote about, and in different niches.